10 *Secrets* To Wake Up With Great Hair Every. Single. Day! Let’s be honest - the way you look on a particular day, is almost directly connected with how your hair looks on the day. Therefore, having a good hair day everyday, is just what you need! Contrary to popular belief, this is actually a possibility. Don’t believe us? 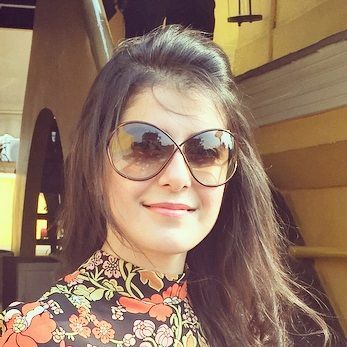 Here are 10 awesome secrets to wake up with good hair every single day! Make it your bedtime beauty routine - comb your tresses and neatly plait them up in one or two braids before hitting the sack. This will ensure that you don’t wake up with terribly tangled hair the next morning, which inevitably leads to breakage and damage of the mane. Be it your fave anti-frizz hair serum, a non-sticky oil, or a volumizing mousse - apply a hydrating product to your strands and massage it into the length of your hair. This will maintain a good moisture level in your mane, ensuring that your locks look shiny and healthy the next morning. Give your hair an awesome boost of hydration with the help of an overnight mask. Make one using mayonnaise, avocado paste, olive oil and a few drops of honey. Wearing a shower cap will help keep the pack in place, and that way it won’t become too messy either. You’ll be so happy with your mane game once you wake up and wash it off, ladies. Want to maintain that bounce in your hair the next day as well? Well then, sleep with your rollers on. Use 3-4 rollers on the crown area and pin them up to keep them in place. 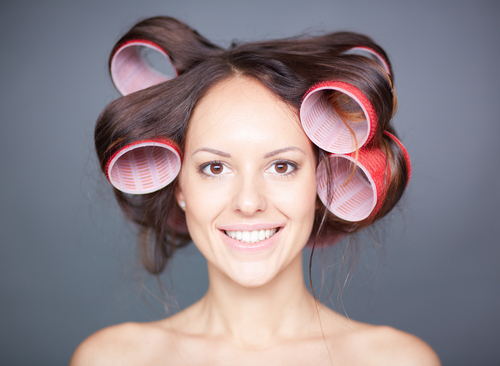 Gently remove the pins after your shower the next morning, and say hello to the freshly blow dried hair look! Use a satin scarf to wrap around your hair before going to bed. This will retain the moisture in your tresses and protect them from damage or any breakage. This, in turn, will result in you waking up with glossy, healthy looking hair that will be so flaunt-worthy! Be it a high ponytail, top knot or braids, make it a point to use a hair tie that isn’t an elastic rubber one. They are harsh on the hair and tends to cause breakage. Use a velvet pony band or a soft satin one. A harsh hair tie also strips the natural oils of the hair, leading to dryness and frizz. Instead of applying dry shampoo on your oily scalp and hair in the morning as you get ready for the day, use it preventively at night, before bedtime. This will ensure that the oil is soaked in as soon as it’s produced, before it spreads and makes your hair strands greasy. Say good morning, to fresh, bouncy hair, ladies. This one’s easy peasy, ladies. 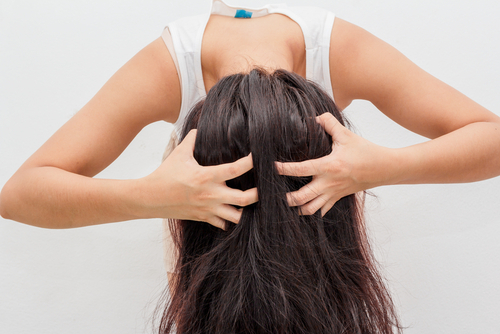 Use your fingertips and massage your scalp before snoozing. This will not only regulate blood flow to the scalp (which promotes hair growth), but also distribute the natural oils and will leave you with shinier, happier hair the next morning! We cannot stress enough on the importance of a soft pillowcase that treats your hair properly. A satin one, to be precise, will be gentle on your mane as you toss and turn in your sleep. No amount of friction with a soft pillowcase will cause much hair damage and frizz and that’s just what you want, right? This way, you’ll wake up to silky soft hair that’s bouncy and not too tangled. 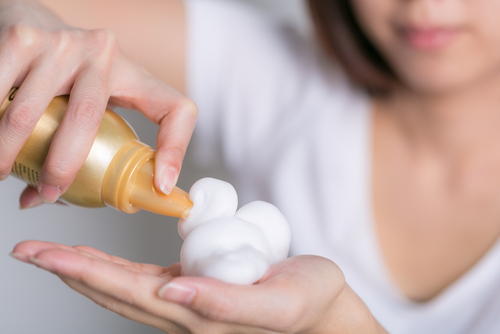 An overnight hot oil treatment is the best way to make it a good hair day when you wake up. 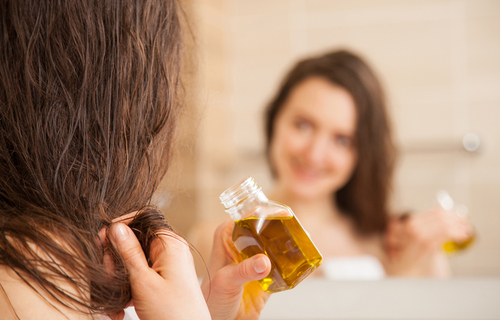 Opt for an oil that suits your hair type, heat it a bit and massage it well into your scalp. The oil will seep into your scalp overnight and give a healthy moisture boost to your strands. The next morning, wash off that oil and voila… That’s all you need to do for a stunning hair look!